Belkin's Wemo brand today announced HomeKit support for the Wemo WiFi Smart Dimmer, which is being added to existing Smart Dimmer switches through a software update. 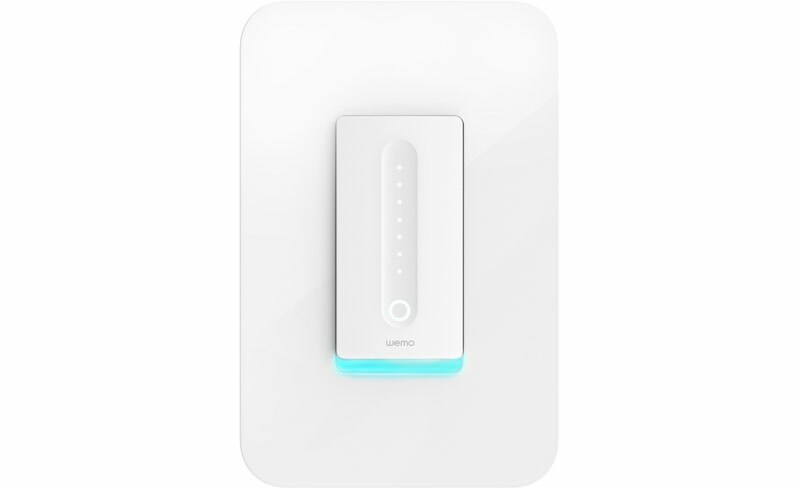 Wemo's Smart Dimmer, priced at $79.99, is a wall switch that replaces a traditional wall switch and is designed to dim connected lights. With HomeKit integration, the Smart Dimmer can be controlled via Siri voice commands on iPhone, iPad, Mac, Apple Watch, Apple TV, and HomePod, and it adds controls for the device in the Home app. 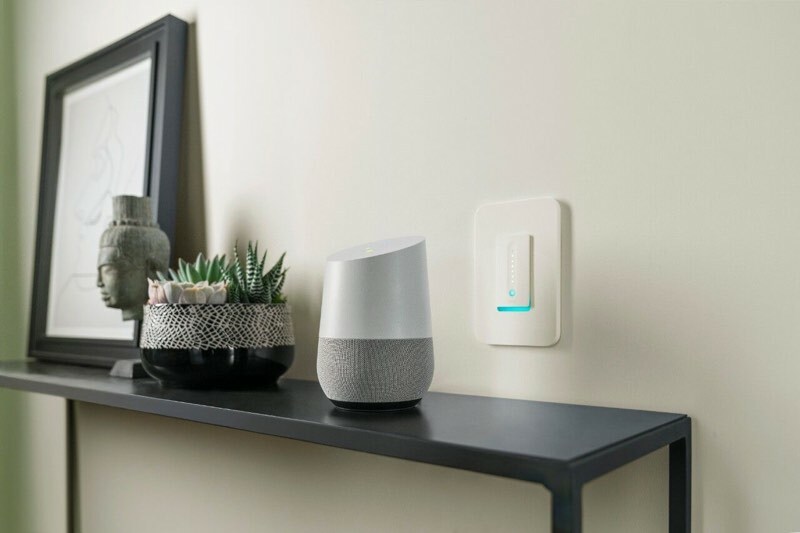 "More than 1.5 million Wemo Mini and Dimmers are in the hands of consumers and people can now leverage this software update for use with the Wemo devices they already own," said Justin Doucette, senior director of product management for Wemo. "Our mission is to make the smart home experience simple, approachable and fun to use. With this new integration we aim to continue providing easy solutions to everyday tasks and add value through on-going software updates." Smart Dimmer switches will also be able to be integrated into HomeKit scenes right alongside other HomeKit devices, and remote access is available through a home hub that includes HomePod, Apple TV, or an iPad. The Smart Dimmer switches are the second Wemo product to gain direct HomeKit support, joining the Wemo Mini Smart Plug. Other Belkin products, such as the Insight Smart Plug, Motion Sensor, and Light Switch are able to connect to HomeKit setups through the Wemo Smart Bridge. Wemo says that the update that will enable HomeKit support for its Dimmer switches is rolling out today, with the firmware able to be downloaded through a new Wemo app in the iOS App Store. The Smart Dimmer can be purchased from the Belkin website for $79.99. Note: MacRumors is an affiliate partner with Belkin. When you click a link and make a purchase, we may receive a small payment, which helps us keep the site running. Instead of complaining about every minute detail, we should all be praising Wemo for upgrading their existing products for free. I don’t know of any other mainstream manufacturer that has recteoactively added HomeKit support. Has anyone personally compared this Wemo switch to the Leviton Decora Dimmer ('https://www.amazon.com/Leviton-DH6HD-1BZ-Decora-Dimmer-HomeKit/dp/B06XKC66HD/ref=sr_1_fkmr1_1?ie=UTF8&qid=1541700051&sr=8-1-fkmr1&keywords=levitron+decora+dimmer+homekit')? Which is better? If you want the most reliable smart switch, look at Lutron Caseta. It uses a small hub, but that's a good feature: Instead of clogging your Wifi, it uses a proprietary wireless signal. The hub bridges the switches to your wifi router, so you can control it via HomeKit (as well as Alexa and Google Home) and remotely. If you're only going to install a few smart switches, having them connect directly to Wifi may not be a big deal. But if you're going to install many switches (I've installed dozens), having the hub take a load off your router is important. Look over the Amazon reviews of the Leviton, and you'll see they're not great. I have not tried the Wemo dimmer myself. That said, the four button layout of the Caseta switches takes some getting used to, where the Leviton has a more typical Decora.